Personal Trainer, Kassy Bouchard, has a Bachelor of Science degree in Kinesiology and Applied Health from the University of Winnipeg. 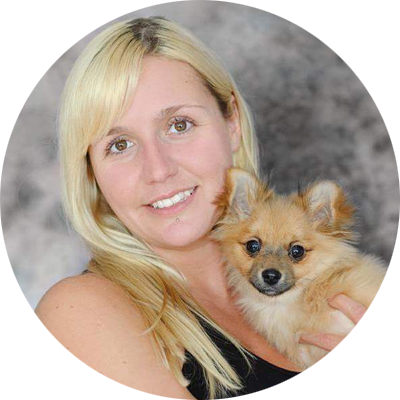 She is also certified through the Canadian Society of Exercise Physiologists (CSEP) as a CPT (Certified Personal Trainer). Kassy has also become a certified instructor in Aerial Yoga and Plyoga fitness. She has also completed the 200hr Yoga Teacher Training through Source Yoga. As a teenager, Kassy loved playing hockey and other team sports. These days her focus is endurance sports like running (Kassy has completed 2 full marathons and over 25 half marathons) and even the odd Triathlon and/or mud run. It is that love of exercise, competition and breaking into a sweat that has fuelled her interest for a career in personal training. She is excited to share that love with her clients and motivate them to set a goal and reach it by providing safe and effective workouts with support and motivation along the way. Kassy specializes in weight loss, muscle mass development, rehab programs for those with injuries or chronic disease, and marathon preparation. She looks forward to sharing that experience with her clients and helping them challenge their own limits.